Add incredible value to your service offerings by including Groundhogg in your client packages. With Groundhogg for your agency you can provide incredible value, for really a very insignificant amount of money. Groundhogg is the last piece of the WordPress puzzle that you’ve been searching for. An all in one CRM & Email marketing suite of tools designed to eliminate the headaches of half baked solutions with third party applications. We allow you to create incredible value for your clients by incorporating one of the most important pieces of their business right within WordPress where they keep all of their other important information. Groundhogg’s marketplace and easy import/export features make it the ideal choice to deploy your brilliant campaigns across dozens of client sites. Groundhogg allows your team to not only save money (and lots of it) but time as well. Your clients will never even know that they’re using Groundhogg! When you purchase the agency license you get to brand Groundhogg as your own CRM. 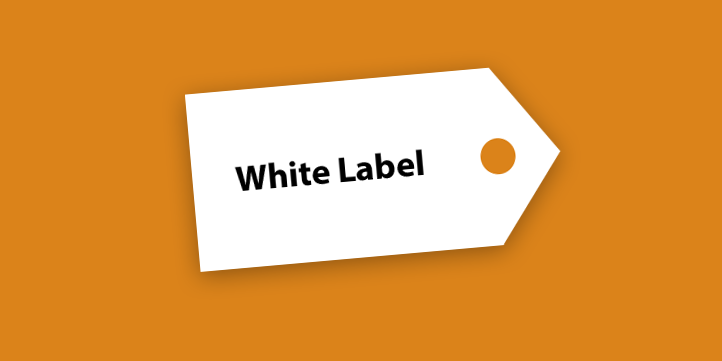 White label branding is available for both multisite and standalone sites. Want Groundhogg For Your Agency? When you white label Groundhogg you can charge whatever you want to your clients while using our agency license. Or you can incorporate the cost of Groundhogg into your service offering to add additional value for your clients. By providing all the pieces of a puzzle in one simple solution your client satisfaction will skyrocket. By eliminating the expensive headaches of third party SaaS you will be the savior for many businesses. Once a customer is setup with a CRM, it’s hard to leave. You can increase your customer retention by providing CRM services that are so deeply incorporated with their site that migrating away will never even cross their mind. Developing your own solution can cost 10s of thousands of dollars in developer fees. Leave it to the pros who want nothing but for your business to thrive. Updates are done on a weekly basis always improving performance and adding features. Save $2189 when you pay yearly. Will my clients know they’re using Groundhogg? Not if you install the white label plugin. If you have a multisite your white label options will be configured in your Groundhogg network settings found on the network page. Otherwise they will be found in the general Groundhogg settings area. What is included in initial setup? Initial setup is optional, but if you would like we can have our team install and setup Groundhogg plus the plugins of your choosing on your multisite or production site. Should problems arise during this process we will debug and solve them accordingly. What does the dedicated support rep do? Our dedicated support rep exists to help the license holder with whatever they need. This includes solving tech issues with your hosting, a limited amount of training as well as answering general questions. The dedicated support rep does not exist to answer to the needs of your clients, but will assist in larger scale implementation problems. Will you provide support for my clients? No, if you are using the agency license we cannot provide support for your clients, we simply do not have the team for it. However, we will of course provide support to the license holder and solve your needs and issues with setup. Please note supporting you does not mean supporting your individual clients, that would be your responsibility. What does the 2 hour training call cover? When you sign up as an agency you will receive a 2 hour training call which will be attended by one of our implementation specialists. It is recommended that one of your support reps/developers be on the call. The training will cover initial setup & installation, as well as basic best practices which you can pass on to your clients. We are also prepared to answer any questions that you’ve come up with ahead of time.